When Barack Obama announced his presidential candidacy on February 10, 2007, he did it in Springfield, Illinois, in the same place where Abraham Lincoln had made his historic challenge to slavery in June 1858. “A house divided against itself cannot stand,” Lincoln had declared, conveying his conviction that the union could no longer countenance the existence of a slave-owning South. This speech, Obama said, was the basis of his candidacy: “And that is why, in the shadow of the Old State Capitol, where Lincoln once called on a divided house to stand together, where common hopes and common dreams still live, I stand before you today to announce my candidacy for President of the United States,” Obama said. But Obama had Lincoln’s speech exactly backwards. Lincoln wasn’t calling for a divided house to stay together. He was arguing against compromise with the slave South. Obama insisted that the declaration was a compromise because it didn’t address slavery in the border states allied with the North. But the Union was at war with the South, and the proclamation stripped the Confederate slave-owners of their right to own slaves. Lincoln didn’t say that they could own slaves if they agreed to return to the Union, or that they could own no more than six slaves. That would have been a compromise. Just as he had done in Springfield, Obama turned one of Lincoln’s uncompromising acts of courage into a justification for compromise. Today, Republicans are threatening a government shutdown and an international monetary crisis over raising the debt ceiling. They have demanded a set of ruinous concessions as a condition for raising the ceiling. These conditions would include draconian budget cuts at a time when economic growth has virtually stalled—it grew a mere 0.9 percent the first half of this year—because of the exhaustion of the 2009-10 government stimulus. To gain Tea Party votes, House Speaker John Boehner set another condition for raising the debt ceiling again in six months: the passage by the House and Senate of a constitutional amendment to balance the budget. An amendment of this kind would make it impossible for the federal government to reverse economic downturns. The Republicans are, in effect, demanding a major constitutional change in return for not shutting down the government and undermining the American economy. That’s insurrectionary behavior. I am not an expert on Lincoln, but I have a pretty good idea what he would say if he were to suddenly appear on the scene. He would reject the Republican majority’s attempt to blackmail the rest of the government and the nation. If, because of Republican intransigence, the Congress were unable to raise the debt ceiling by August 2nd, I suspect he would follow Bill Clinton’s advice and raise the debt ceiling unilaterally on the grounds of the fourteenth amendment, which says that “the validity of the public debt … shall not be questioned.” That’s certainly a risky move. If Obama were to do it, he could eventually face a hostile Supreme Court majority, just as Lincoln’s suspension of habeas corpus aroused the ire of Chief Justice Roger Taney in 1861. But, given the dangerous game that the Republican Party is playing, that’s a risk worth taking. WHY HAS OBAMA continued to opt for compromise? One reason may be that he dislikes conflict and wants to see himself as a mediator. Another reason seems to be political. Obama’s political team appears convinced that by positioning the president as the Great Mediator, they will win over independent voters in the 2012 election. (I recently explained why this strategy is misguided. ) Still, his advisers might want to look at a recent Pew poll that shows Obama losing ground with self-identified independents during the last two months. It just might be that what these and other voters want from a president is leadership and not mediation, even if they disagree with some of Obama’s policies. That’s certainly what happened during Ronald Reagan and George W. Bush’s presidencies. Both men enjoyed great popularity even though polls showed that the public disliked some of their initiatives. Finally, it may be that Obama himself has swallowed the pre-Keynesian Kool-Aid dispensed at Tea Party rallies and no longer believes that deficits are necessary to reducing unemployment during downturns. If he has succumbed, as Elizabeth Drew suggests, then all is really lost, and we have a president who is oblivious to a century of economic history. I can’t believe that. I think Obama is being driven by politics and character rather than by newfound conservative convictions. If that’s so, he needs to step back and reconsider exactly what the situation demands. Is it 1996, for instance, with an economy resistant to meddling by a Republican Congress? Or is it a time of crisis like 1858 or 1948, when a misstep can jeopardize the nation? 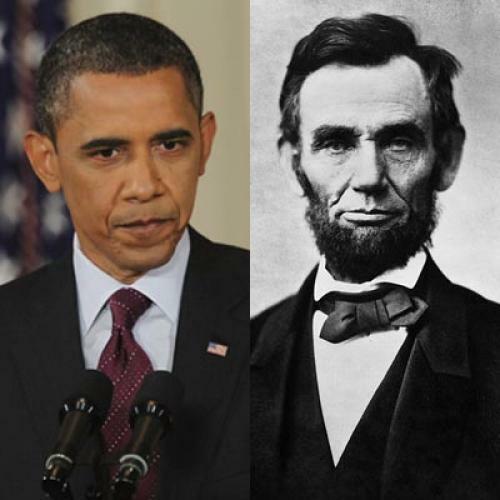 If there was ever a time that we needed Obama to look to Lincoln—the real man, not the figment of his imagination—it is now.